Move-in ready home! 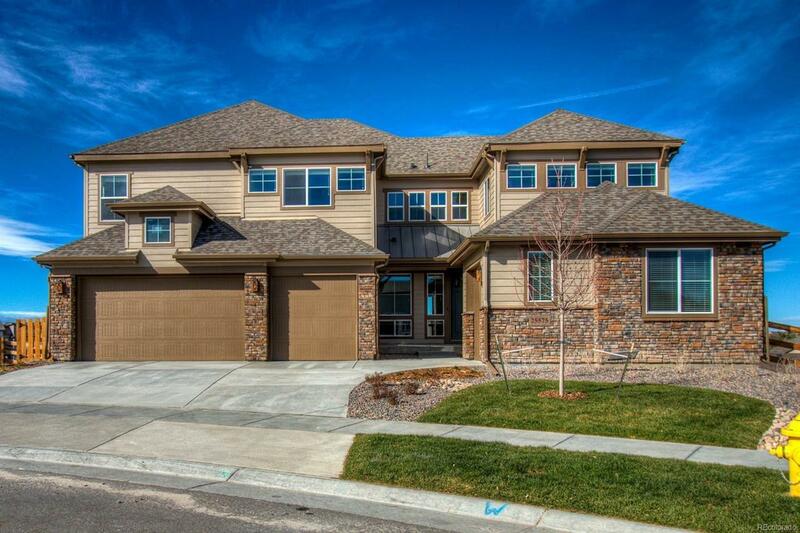 Beautiful new home on a quarter acre homesite! Dramatic, open great room with 2-story ceilings and open railing. Luxurious kitchen fit for a check with additional prep space including an 2nd sink and 2nd dishwasher. Convenient main level bedroom with en-suite bathroom. Access to large wrap around covered deck off kitchen and study, with outdoor fireplace (over 800sqft)! Taxes are TBD - taxes are currently assessed on land value only and not on the total value of the property. Est. annual taxes are approx. 1.24% of purchase price. HOA is a metro district and fees are incorporated into the property taxes.